When you head out on the road, you want to be able to relax and enjoy the ride. However, if your windshield is cracked or chipped, you are putting your trip and safety at risk. 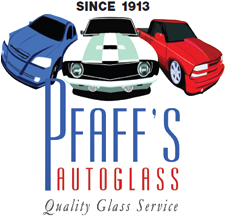 Enjoy life on the road in full with RV glass repair in Winston-Salem, NC, by Pfaff's Auto Glass Inc. Our technicians take care of any blemishes on your windshield, windows, or back glass so you can embark on your journey worry-free. RV and motorhome glass repair is available for foreign and domestic vehicles of all makes and models. Make an appointment for professional RV glass repair by giving us a call today. A single crack or chip in the glass is all it takes to compromise the safety and structural integrity of your windshield, even for bigger vehicles. 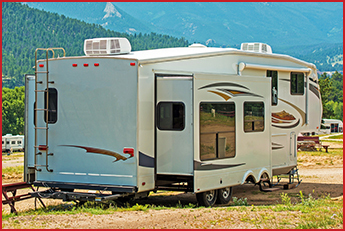 Your windshield helps supports your RV's roof during roll-overs and stop passenger ejection during collisions. Motorhome glass repair is essential to making your vehicle safe again after it suffers damage, even from something as small as tiny debris. Make RV glass repair part of your checklist for whenever you are prepping for a trip. If you notice a tiny chip or thin crack in your auto glass as you prepare for take-off, don't hesitate to give our technicians a call. Our goal is to ensure you are as safe as possible during your travels, so we always provide flexible scheduling and efficient repair services while employing proven techniques. We understand that you want to set off on your trip as soon as possible. Our motorhome glass repair services are typically very quick, often taking as little time as 30 minutes. All of the certified technicians we employ have extensive experience working on all types of vehicles, including RVs. You can count on us to completely fix the damage without taking up too much of your time. If the damage is too large for cost-effective repair, our technicians also have the tools and skills needed to quickly replace your glass. At our shop, we even help you with your insurance claim for our motorhome glass repair and replacement services, allowing you to rest assured that everything is taken care of. Passing through the area and need RV glass repair before hitting the road again? We provide mobile services to over 27 counties of North Carolina, allowing us to serve you no matter how far you are from our physical shop. Give us a call to see if you are within our service area and we will arrive at your location as soon as possible. Contact our RV glass repair company to schedule an appointment for your vehicle. Our auto glass shop is proud to serve Winston-Salem, Greensboro, Oak Ridge, Summerfield, Mebane, and Burlington, North Carolina, as well as the surrounding areas.